Каталог включает Jazz Realese’s Японских Лэйблов 3D, Alfa Jazz, Jazz Bank, Interplay, PJL, Trio, Why Not (Tokyo). Диски характеризует превосходное качество звучания и оригинальный фирменный дизайн. MTCJ-4001 AIRTO FINGERS 02/02/58 Airto Moreira w/ Flora Purim on percussion and vocals, David Amaro on guitar, Hugo Fattoruso on keyboards and harmonica, Jorge Fattoruso on drums and Ringo Thielmann on electric bass. MTCJ-1041 BAUER, BILLY SESSIONS-RARE TRACKS ANTHOLOGY 06/13/56 JAPAN ONLY: Tracks 1-8: recorded in October December, 1969; Tracks 10, 13 & 15: recorded on June 19, 1959; Tracks 9, 11, 12 & 14: recorded in 1960 & 1969. MTCJ-1045 BAUER, BILLY LET'S HAVE A SESSION 01/01/57 Recorded in 1953. 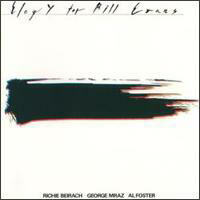 MTCJ-2501 BEIRACH, RICHIE COMPLETE SOLO LIVE 1981 05/04/03 RICHIE BEIRACH - PIANO. Digital Recorded at Sogetsu Hall Tokyo June 11, 1981. MTCJ-2519 BEIRACH, RICHIE TIDAL WAVE 03/07/30 WITH MASAHIKO TOGASHI. 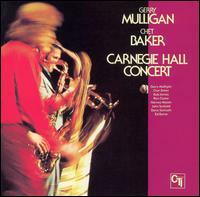 Recorded Live June 21, 1978 at YAMAHA HALL / TOKYO. 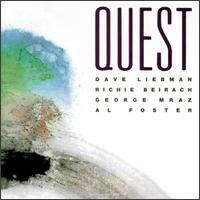 MTCJ-2520 BEIRACH, RICHIE OMERATA 03/07/30 Richie Beirach - Piano & Dave Liebman - Flute (Alto), Sax (Soprano), Sax (Tenor). Recorded June 9, 1978 in Tokyo. MTCJ-5528 BEIRACH, RICHIE TIDAL WAVE+KAHUNA 02/09/10 PAPER SLEEVE/24BIT DIGITAL REMASTERING: RICHIE BEIRACH AND MASAHIKO TOGASHI. MTCJ-2543 BISHOP JR., WALTER ODE TO BIRD 01/01/57 24BIT DIGITAL REMASTERING: Walter Biship Jr. (p); Paul Brawn (b); Walter Bolden (ds). Recorded on December 4, 1989 at NYC. MTCJ-2509 BISHOP, WALTER JR. JUST IN TIME 07/09/28 CD IS JAPAN ONLY: Walter Bishop Jr. - Piano; Paul Brown - Bass; Walter Bolden - Drums. Recorded on September 10, 1988 at Sound Idea Studio in New York. 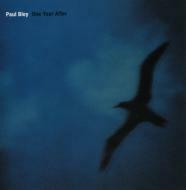 MTCJ-6504 BLEY, PAUL ONE YEAR AFTER 07/02/37 PAPER SLEEVE: Paul Bley - Piano; Giko Pavan - Bass; Mauro Beggio - Drums. Recorded in 1992. 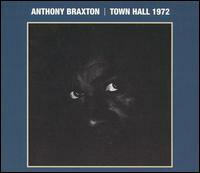 MTCJ-2535 BRAXTON, ANTHONY TOWN HALL 1972 12/01/55 DIGITAL REMASTERING, REISSUED: ANTHONY BRAXTON - Reeds; DAVE HOLLAND - Bass; BARRY ALTSCHUL - Drums; PHILIP WILSON - percussion and marimba. 1972.5.22 REC IN NEW YORK. MTCJ-2513 BRIGNOLA, NICK NEW YORK BOUND 01/27/29 1978 REC.10/30 1978 AT HOLLYWOOD CAL. 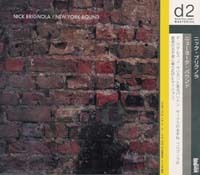 : Nick Brignola - Reeds; Walter Bishop, Jr. - Piano; Sam Jones - Bass; Roy Haynes - Drums. MTCJ-2504 DEJOHNETTE, JACK JACKEYBOARD 05/04/03 Jack DeJohnette - Piano and melodica; George Ohtsuka - Drums; Mitsuaki Furuno - Bass. Recorded at Iino Hall Tokyo 8/6 1973. MTCJ-2521 DEJOHNETTE, JACK TIME AND SPACE 03/07/30 JACK DeJOHNETTE - piano, electric piano, melodica, marimba, voice, drums, and percussion & DAVE HOLLAND - Bass, Voice and Percussion. RECORDED JUNE 15, 1973 AT IINO HALL IN TOKYO. 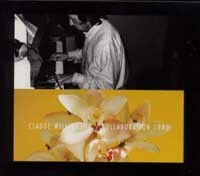 MTCJ-2001 DICKERSON, WALT TELL US ONLY THE BEAUTIFUL THINGS 10/14/02 REC: 7/21/1975/PHILADELPHIA: WALT DICKERSON - Vibraphone; WILBUR WARE - Bass; ANDREW CYRILLE - Drums. MTCJ-2007 FREEMAN, CHICO MORNING PRAYER 10/14/02 REC: 9/08/1976/CHICAGO: CHICO FREEMAN - (ts,as,fl,pan-pipe,pec. ); HENLY THREADGILL - (as,bs,fl,perc. ); MUHAL RICHARD ABRAMS - Piano; CECIL McBEE - Bass, Cello; STEVE McCALL - Percussion; BEN MONTGOMERY - Drums; DOUGLAS EWART - (b-fl , bamboo fl,perc.). MTCJ-2014 FREEMAN, CHICO LORD RIFF AND ME 12/25/27 CHICO FREEMAN - Tenor Saxophone; VON FREEMAN - Tenor Saxophone; GEORGE CABLES - Piano; CECIL McBEE - Bass; BILLY HART - Drums. MTCJ-3016 FUJII, SATOKO BLUEPRINT 04/21/12 w/E.Eskelin/T.Malaby/A.Laster/etc. MTCJ-4021 HANNA, ROLAND PRELUDES VOL.1 & 2 (2 IN 1) 05/18/84 PAPER SLEEVE/24BIT DIGITAL MASTERING: Roland Hanna - Piano & George Mraz - Bass. Recorded in Tokyo, 1976 & 1977. MTCJ-2505 HARPER, BILLY/FADDIS, JON JOHN & BILLY 05/04/03 BILLY HARPER - tenor sax; JON FADDIS - trumpet; ROLAND HANNA - piano, electric piano; GEORGE MRAZ - bass; MOTOHIKO HINO - drums; CECIL BRIDGEWATER - kalimba (B-1). Recorded at TEICHIKU Studio, TOKYO March 13th, 1974. 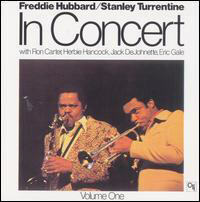 MTCJ-4014 HUBBARD, FREDDIE IN CONCERT VOL.1 04/17/83 PAPER SLEEVE/DIGITAL REMASTERING: Ron Carter - Bass; Jack DeJohnette - Drums; Herbie Hancock - Piano; Stanley Turrentine - Sax (Tenor); Eric Gale - Guitar; Freddie Hubbard - Trumpet. Recorded Mar 3/4, 1973. MTCJ-4015 HUBBARD, FREDDIE IN CONCERT VOL.2 04/17/83 PAPER SLEEVE/DIGITAL REMASTERING: Ron Carter - Bass; Jack DeJohnette - Drums; Herbie Hancock - Piano; Stanley Turrentine - Sax (Tenor); Eric Gale - Guitar; Freddie Hubbard - Trumpet. Recorded Mar 3/4, 1973. MTCJ-4018 HUBBARD, FREDDIE KEEP YOUR SOUL TOGETHER 10/29/83 PAPER SLEEVE/DIGITAL REMASTERING: George Cables - Piano, Piano (Electric); Ron Carter - Bass; Junior Cook - Sax (Tenor); Kent Brinkley - Bass (Electric), Bass (Acoustic); Freddie Hubbard - Trumpet, Flugelhorn, Horn; Juno Lewis - Percussion; Ralph Penland - Drums; Aurell Ray - Guitar. MTCJ-4019 HUBBARD, FREDDIE POLAR AC 10/29/83 PAPER SLEEVE/DIGITAL REMASTERING: George Benson - Guitar; Phil Bodner - Wind, Woodwind; George Cables - Piano; Ron Carter - Bass; Junior Cook - Sax (Tenor); Jack DeJohnette - Drums; Hubert Laws - Flute, Wind; Marvin Stamm - Horn, Brass; Lenny White - Drums; Al Brown - Strings; David Nadien - Strings; Airto Moreira - Percussion; Wayne Andre - Horn, Brass; Garnett Brown - Trombone, Brass; Billy Cobham - Drums; Max Ellen - Strings; Paul Faulise - Horn, Brass; Paul Gershman - Strings; Emanuel Green - Strings; Harry Lookofsky - Strings; Freddie Hubbard - Trumpet, Horn; Theodore Israel - Strings; Walter Kane - Wind; Harold Kohon - Strings; Charles Libove - Strings; Joseph Malin - Strings; George Marge - Wind, Woodwind; Charles McCracken - Strings; Gene Orloff - Strings; Romeo Penque - Wind, Woodwind; Matthew Raimondi - Strings; George Ricci - Strings; Alan Rubin - Horn, Brass; Tosha Samaroff - Strings; Anthony Sophos - Strings; Irving Spice - Strings; Wally Kane - Woodwind; Tony Price - Brass. 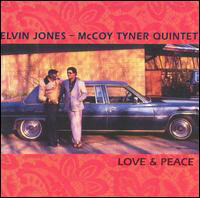 MTCJ-2537 JONES, ELVIN LIVE IN JAPAN 1987 "DEAR JOHN C." 06/13/56 176.4kHz 24BIT DIGITAL MASTERING: Elvin Jones - drums; Frank Foster - tenor & soprano-sax; Pat Labarbera - tenor-sax; Roland Prince - guitar; Andy McCloud - bass. 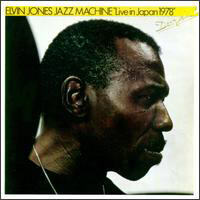 MTCJ-2546 JONES, ELVIN LIVE IN JAPAN 1978 VOL.2 07/22/57 24BIT DIGITAL MASTERING: Elvin Jones - drums; Frank Foster - tenor & soprano-sax; Pat Labarbera - tenor-sax; Roland Prince - guitar; Andy McCloud - bass. Recorded in 1978. 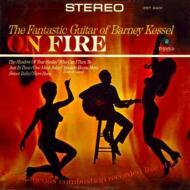 MTCJ-1048 KESSELL, BARNEY ON FIRE 07/22/57 Frank Capp - Drums; Barney Kessel - Guitar; Jerry Scheff - Bass. Recorded in July 1965 for Emerald Records. MTCJ-6501 KUHN, STEVE LIVE IN JAPAN 1994 VOL.1 11/02/12 PAPER SLEEVE: Steve Kuhn - Piano & Steve Swallow - Bass. MTCJ-6502 KUHN, STEVE LIVE IN JAPAN 1994 VOL.2 11/02/12 PAPER SLEEVE: Steve Kuhn - Piano & Steve Swallow - Bass. 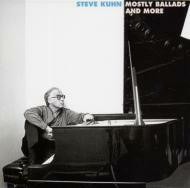 MTCJ-6503 KUHN, STEVE MOSTLY BALLADS AND MORE 07/02/37 PAPER SLEEVE W/BONUS TRACKS: Steve Kuhn - Piano & Harvie Swartz - Bass. MTCJ-1050 MARSH, WARN PERSONNEL STATEMENT 02/02/58 WARNE MARSH - tenor sax solo. Recorded Dec.15,1987 at Van Nuys, California. MTCJ-2510 MARSH, WARNE LIVE IN BERLIN (QUARTET) 01/27/29 1980 10/30 REC.IN BERLIN: Warne Marsh - Tenor Saxophone; Sal Mosca - Piano; Eddie Gomez - Bass; Kenny Clark - Drums. 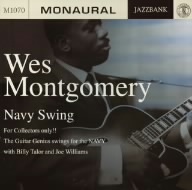 MTCJ-1070 MONTGOMERY, WES NAVY SWING 10/09/11 Wes Montgomery - Guitar; Billy Taylor - Piano; Ben Tucker - Bass; Grady Tate - Drums; Joe Williams - Vocals. Recorded in Spring 1964. 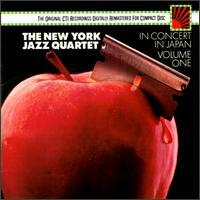 MTCJ-4016 NEW YORK JAZZ QUARTET LIVE IN JAPAN 04/17/83 PAPER SLEEVE/DIGITAL REMASTERING: Ron Carter - Bass; Ben Riley - Drums; Sir Roland Hanna - Piano; Frank Wess - Flute, Sax (Soprano). Recorded April 2, 1975. 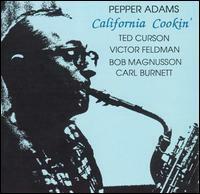 MTCJ-1056 PEPPER, ART SHOW TIME 10/29/83 JAPAN ONLY/1ST AVAILABLE ON CD (ORG:1957): Art Pepper - Alto Saxophone and Clarinet; Larry Bunker - Piano; Don Payne - Bass; Chuck Flores - Drums; Carl Perkins - Piano; Ben Tucker - Bass. MTCJ-1065 PEPPER, ART PEPPER JAM 08/31/10 JAPAN ONLY/LIVE IN SAN DIEGO,MAR.1975: Art Pepper - Alto Saxophone; Harold Land - Tenor Saxophone; Buddy Collette - Tenor Saxophone; Blue Mitchell - Trumpet; Butch Lasy - Piano; Jeff Littleton - Bass; Jim Plank - Drums. MTCJ-1071 PEPPER, ART PASADENA CONCERT 04/21/12 1ST AVAILABLE ON CD: Art Pepper - Alto Saxophone; Sahab Shihab - Bass; Joe Albany - Piano; Roy Porter - Drums; Harry Babasin - Bass. Recorded November 15, 1975. 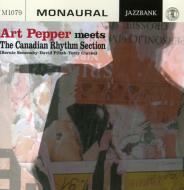 MTCJ-1079 PEPPER, ART MEETS THE CANADIAN RYTHM SECTION 07/02/37 Recorded in Toronto on 17 June 1977 with Bernie Senensky(p), David Piltch(b), and Terry Clark(ds). 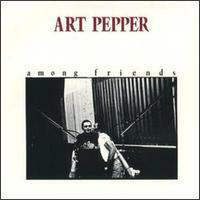 MTCJ-2542 PEPPER, ART AMONG FRIENDS 01/01/57 24BIT DIGITAL REMASTERING: Frank Butler - Drums; Russ Freeman - Piano; Art Pepper - Sax (Alto); Bob Magnusson - Bass. Recorded in 1978. MTCJ-2512 PERKINS, BILL REMEMBRANCE OF DINO'S 01/27/29 1986 REC AT PASADENA CLIFORNIA: BILL PERKINS - TENOR SAXOPHONE; ALAN BROADBENT - PIANO; PUTTER SMITH - BASS; GENE CHERICO - BASS; JOHN TIRABASSO - DRUMS. 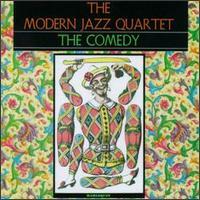 MTCJ-1077 RIZZI, TONY ART OF 11/02/12 Recordings from 1953 and 1975. 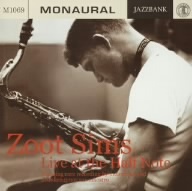 MTCJ-1069 SIMS, ZOOT LIVE AT HALF NOTE 10/09/11 Zoot Sims - Tenor Saxophone; Al Cohn - Tenor Saxophone; Roger Kellaway - Piano; Bill Crow - Bass; Mel Lewis - Drums. MTCJ-2005 SMITH, DONALD LUV 10/14/02 REC: 8/21/1976/NEW YORK: Donald Smith - Piano; Cecil Mcbee - Bass; Jack Dejohnette - Drums. MTCJ-2012 SULLIVAN, CHARLES RE-ENTRY 05/04/03 CHARLES SULLIVAN - Trumpet; RENE McLEAN - Alto Saxophone; KENNY BARRON - Piano; BUSTER WILLIAMS - Bass; BILLY HART - Drums. Recorded August 17,1976 at CI Studios , N.Y.C. 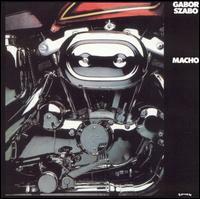 MTCJ-4020 SZABO, GABOR MACHO 10/29/83 PAPER SLEEVE/DIGITAL REMASTERING: Jon Faddis - Trumpet; Bob James - Keyboards, Piano (Electric); Tom Scott - Lyre, Sax (Tenor), Lyricon; Gabor Szabo - Guitar; Ralph MacDonald - Percussion; George Bohannon - Trombone; Eric Gale - Guitar, Keyboards; Idris Muhammad - Percussion; Louis Johnson - Bass; Harvey Mason, Sr. - Drums; George Bohanon - Trombone. 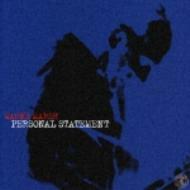 MTCJ-2532 TAYLOR, CECIL PIANO SOLO LIVE 12/01/55 DIGITAL REMASTERING, REISSUED: CECIL TAYLOR - piano. 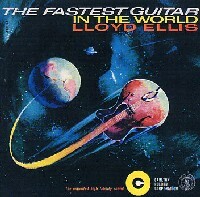 Recorded in 1973. MTCJ-2533/4 TAYLOR, CECIL AKISAKILA PART 2 12/01/55 2CD, DIGITAL REMASTERING, REISSUED: CECIL TAYLOR - piano; JIMMY LYONS - alto saxophone; ANDREW CYRILLE - drums. Recorded May 22, 1973 in Tokyo. MTCJ-5603 TOGASHI, MASAHIKO SPIRITUAL MOMENTS 08/31/10 PAPER SLEEVE: Masahiko Togashi - Percussion; Steve Lacy - Saxophone; Kent Carter - Bass. Recorded on October 15 & 16, 1981 in Tokyo. MTCJ-2503 TOLLIVER, CHARLES LIVE IN TOKYO 1973 05/04/03 Stanley Cowell - Piano; Clint Houston - Bass; Clifford Barbaro - Drums; Charles Tolliver - Trumpet. Recorded December 7, 1973. MTCJ-1011/2 VARIOUS JAZZ STANDARD VOL.1-LILIES: JAZZ PIANO FAVORITES 01/27/29 2CD: Claude Williamson; Al Haig; Walter Bishop Jr.; Joe Albany; Lou Levy; Gildo Mahones; Eddie Green; and John Wright. MTCJ-1013/4 VARIOUS JAZZ STANDARD VOL.2-ROSES: JAZZ PIANO FAVORITES 01/27/29 2CD: Claude Williamson; Al Haig; Walter Bishop Jr.; Joe Albany; Lou Levy; Gildo Mahones; Eddie Green; and John Wright. 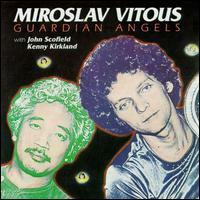 MTCJ-2545 VITOUS, MIROSLAV GURDIAN ANGELS 01/01/57 24BIT DIGITAL REMASTERING: MIROSLAV VITOUS - Bass & John Scofield - Guitar. Recorded in 1978. MTCJ-2017 WILLSON, JOE LEE SHOUT TO TRANE 12/25/27 JOE LEE WILSON (voc. ); FIELDER FLOYD (tr. ); MONTY WATERS (a.s.saxes flute); SHIROH MORI (gui. ); KIYOTO FUJIWARA (bass); GEORGE AVALOZ (ds. ).